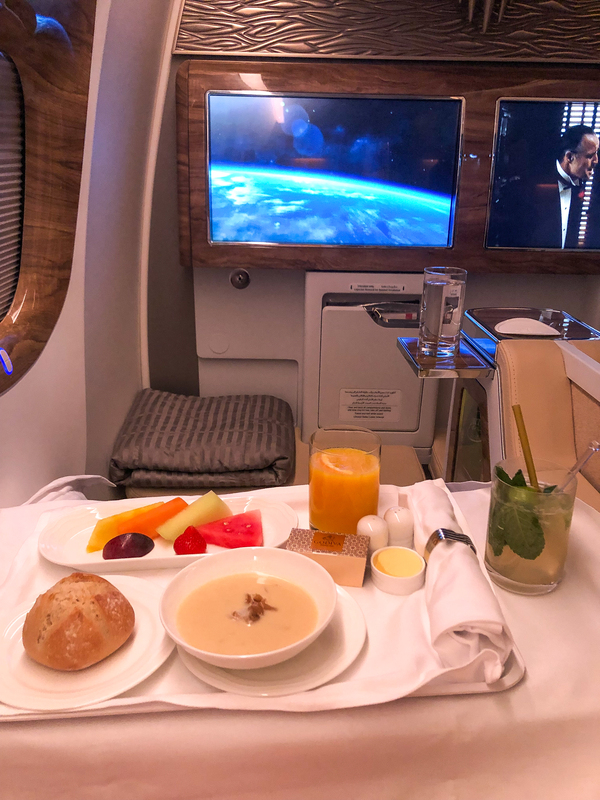 One of the reasons why this trip was so relaxing was the really great inbound and outbound flight in the Business Class of Emirates. 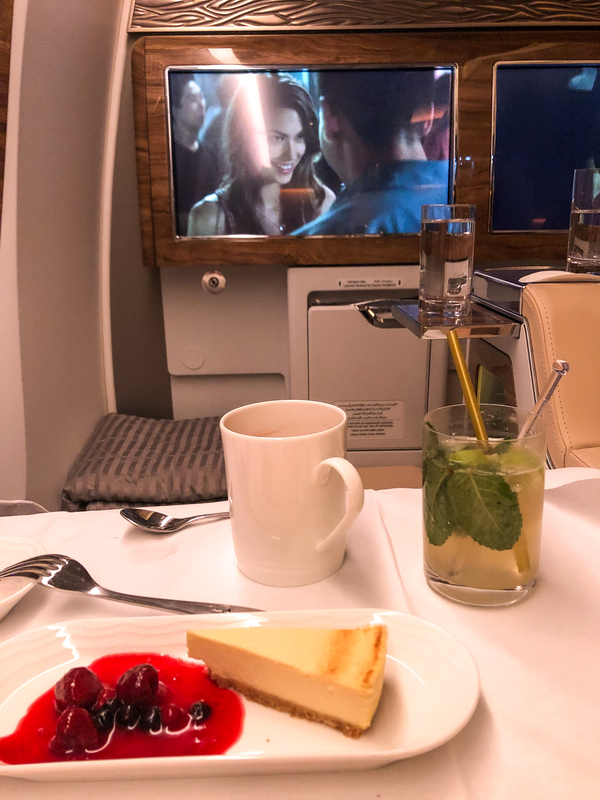 Emirates has always belonged to my favorite airlines in the world because you feel like flying in a private jet 🙂 The luxury onboard of Emirates is hard to beat! 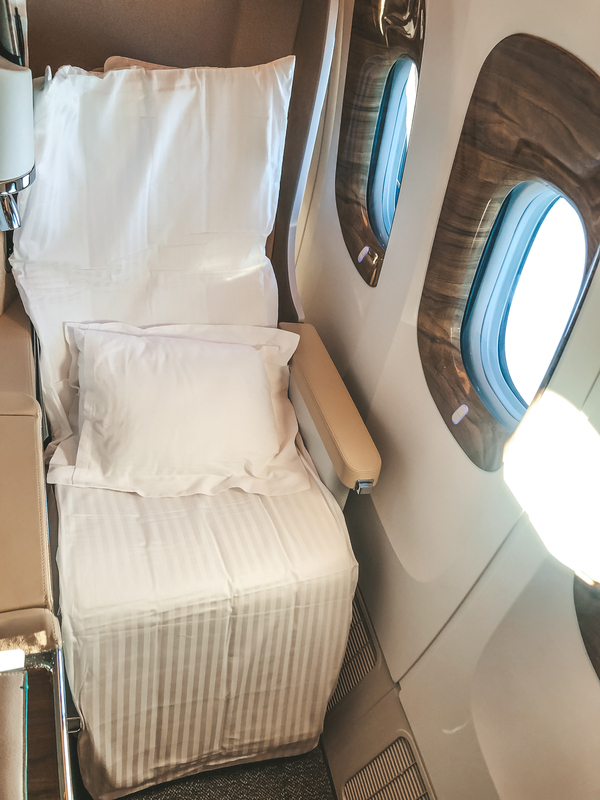 The feeling of flying in a private jet was even bigger this time because we were so lucky that we got to fly in the brand new Boeing 777 of Emirates from Hamburg to Dubai. Just have a look at the stunning Design! How luxurious! Not only the design but also the Features of our airplane were enourmous! 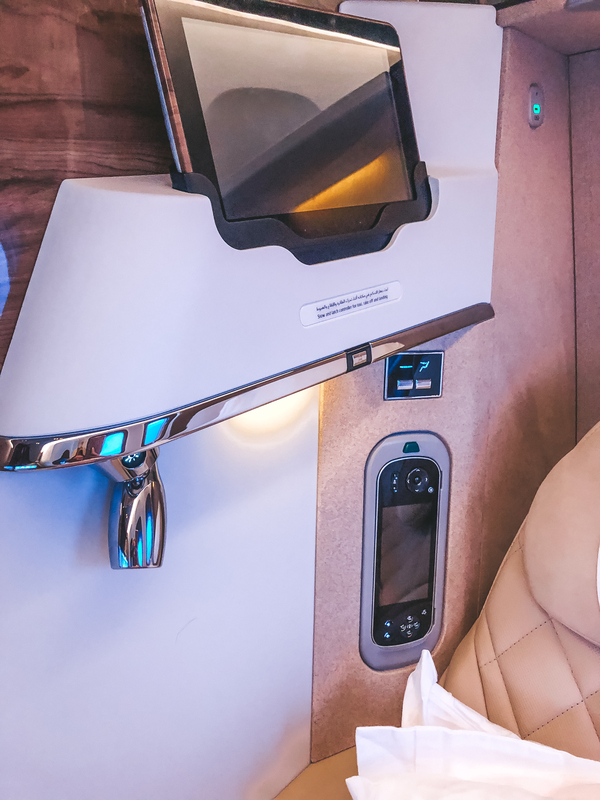 It’s common in the Business Class of Emirates that there is a Bar which is open for all Business & First Class guests during the flight. Furthermore, there were several drinks available right at your seat. Also the Entertainment Program was probably the best I’ve ever seen. I’ve never had such a great selection of International movies, series etc. 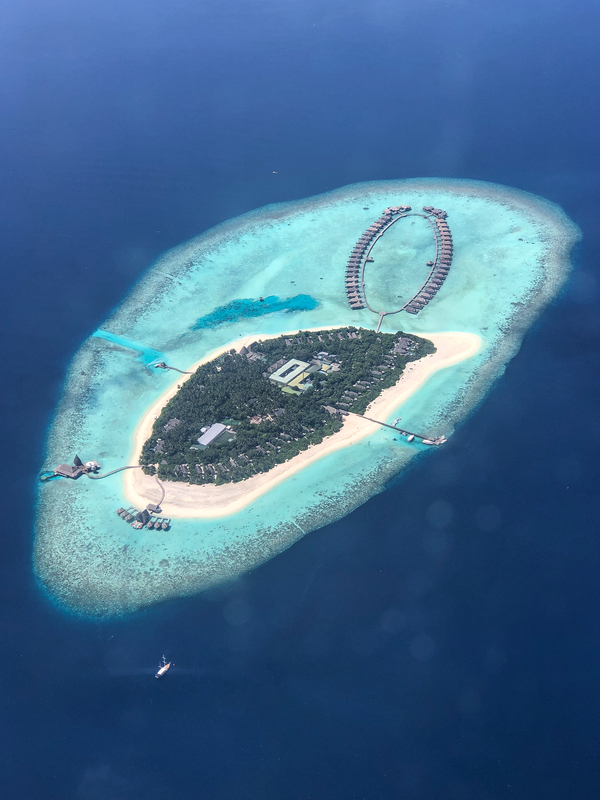 during a flight. 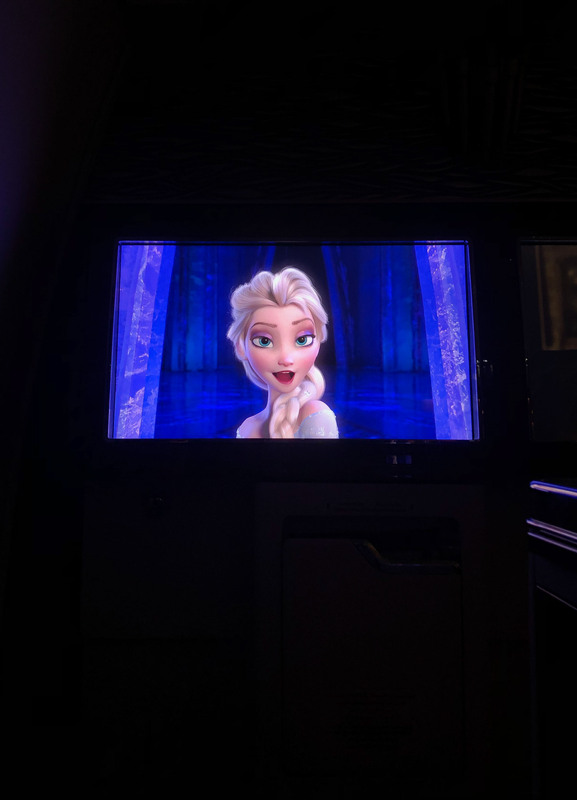 My personal highlight was that there were even almost all Disney movies available 😀 I’ve never experienced something like this and it definitely made this flight even better! Several toiletries in the rest room such as hand lotion, toothbrush etc. During our flight before falling asleep the flight attendants turned our seats into beds so it was even more comfy and great for sleeping. We definitely slept very well during our flights! 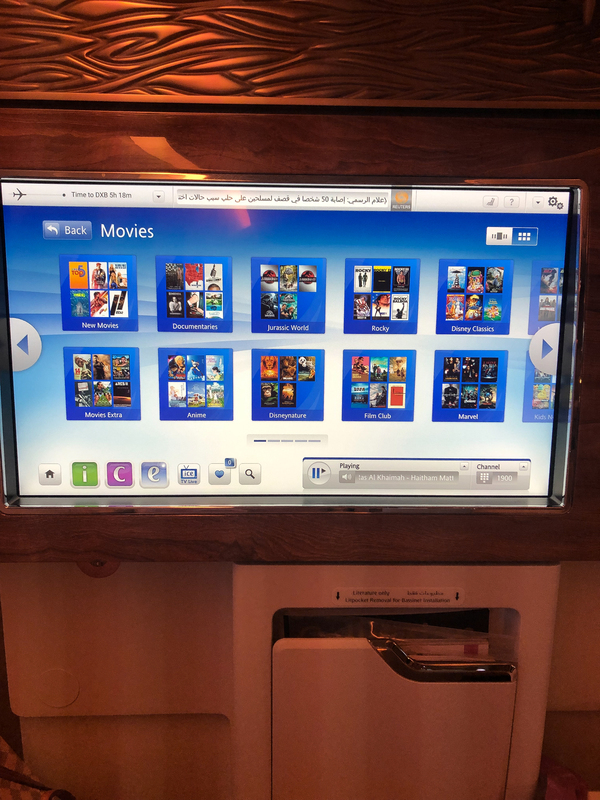 Also excellent was the Food onboard of Emirates Airline! I really love Arabian food and there was plenty of it there. 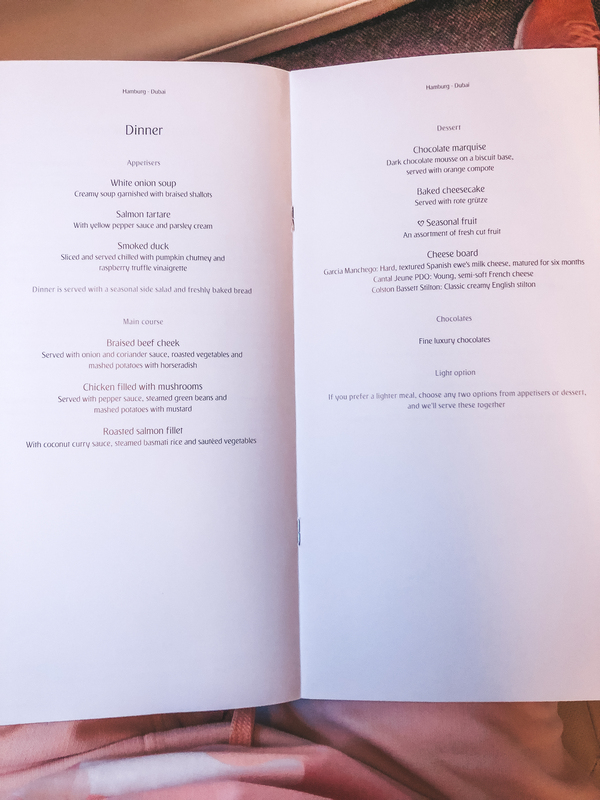 This was the menu during our flight from Hamburg to Dubai. On the ground as well as in the air the Service of the Emirates employees was nothing but excellent. You could have had food or drinks at any time during the flight which was a great plus. 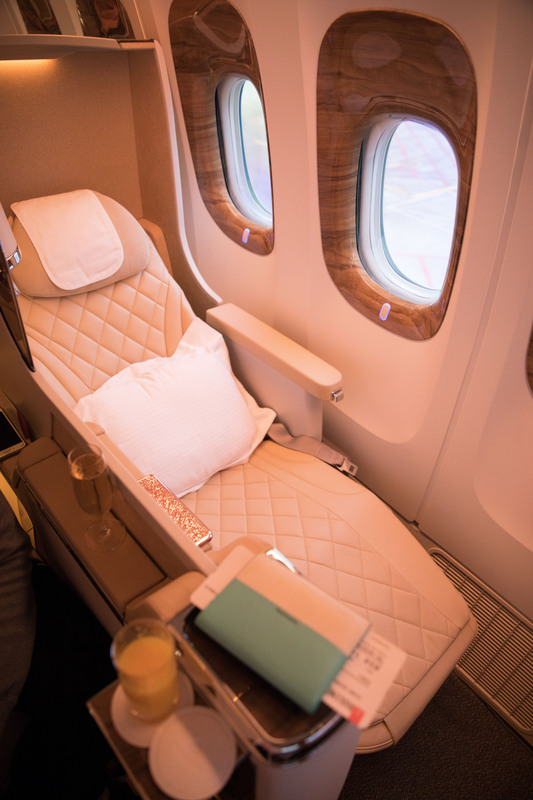 Have you ever flown with Emirates? And if so: How was your flight?